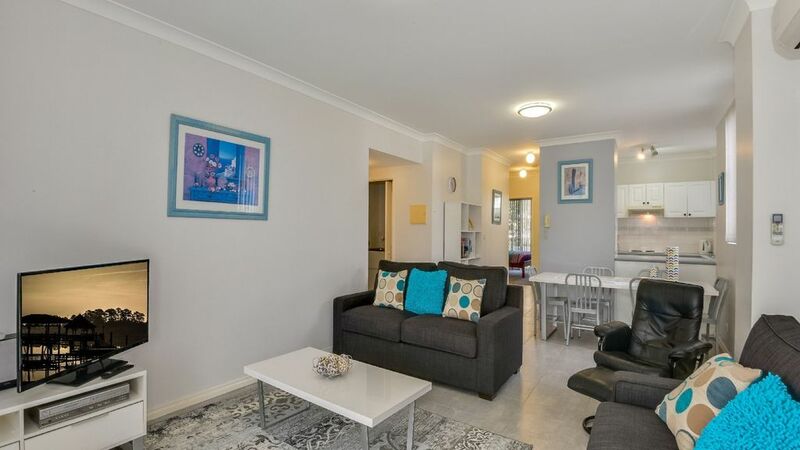 The comfortable 2 bedroom unit is only a short walk to the beach, shops cafes and entertainment. Located in the heart of The Entrance. Both bedrooms lead out onto the huge wrap around verandah. Great location for summer family holidays, this unit features a large wrap around verandah with outdoor setting and BBQ. Tiled floors throughout the living spaces and new furnishings in 2016. The property has a washing machine, dryer, flat screen TV, DVD player. Loads of outside space making this perfect for families with small kids. Located on the ground floor, single lock up garage.